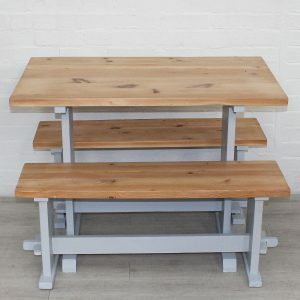 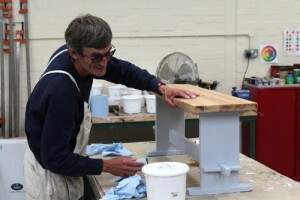 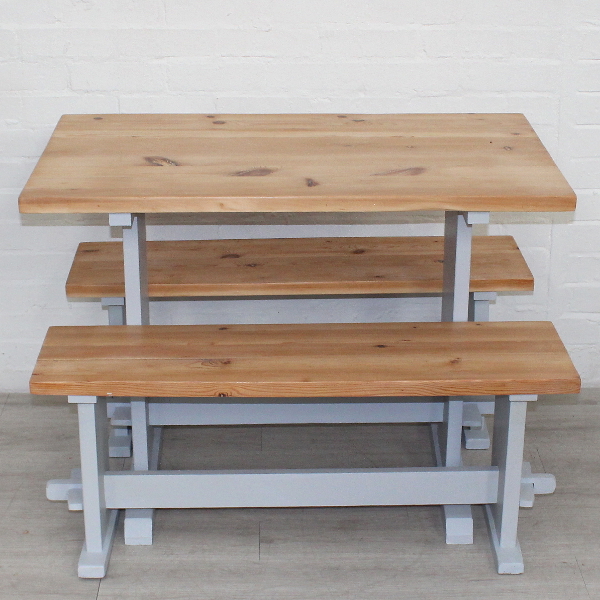 Glenn working on this now complete & very trendy compact Kitchen table & Bench set in natural solid wood & painted in a warm grey. 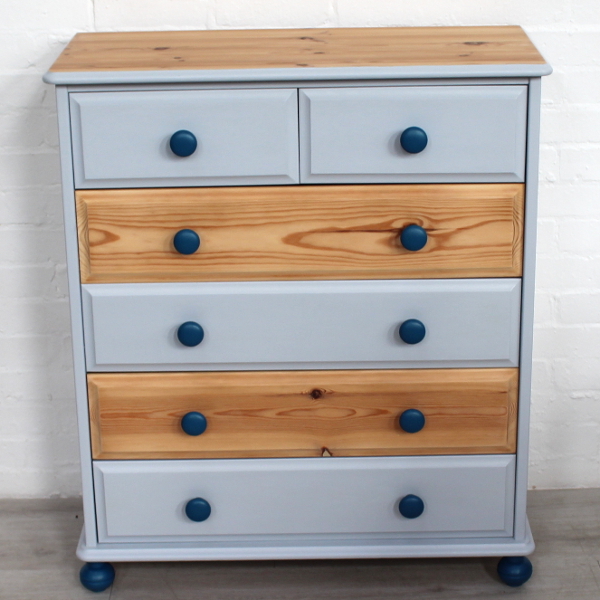 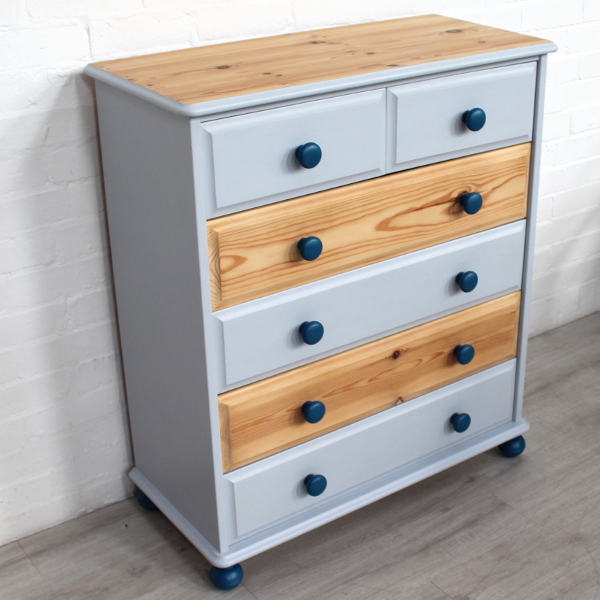 Ian B. working on Chest of Drawers – now complete. 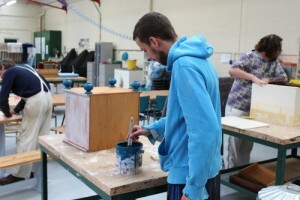 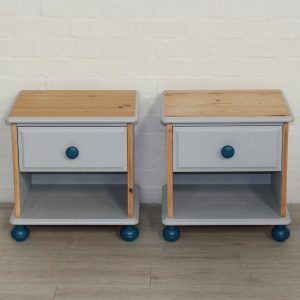 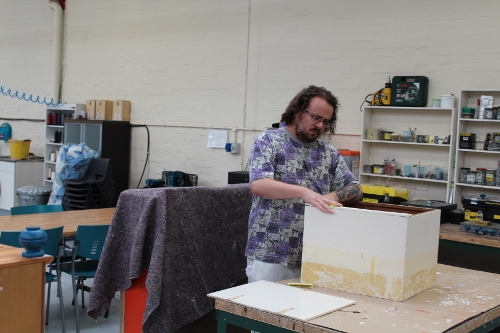 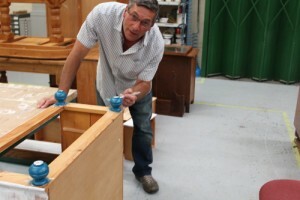 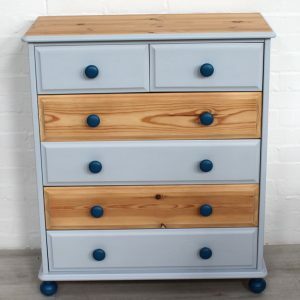 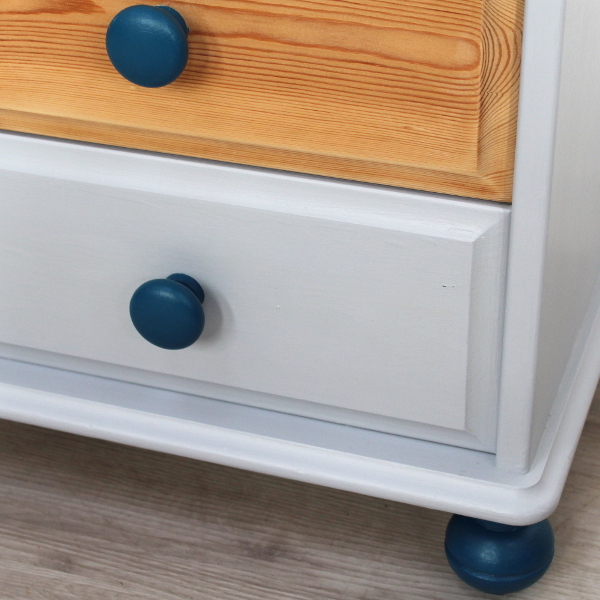 Chris has done a fine job on this matching pair of bedside cabinets. 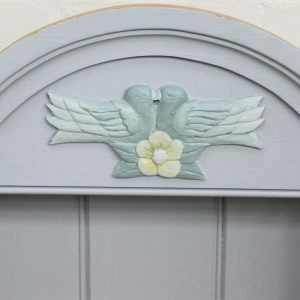 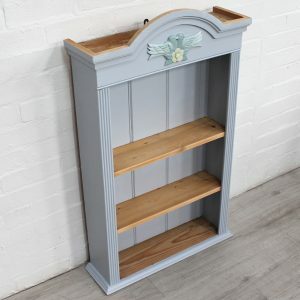 Very useful painted hanging shelf unit with carved ‘love birds’ adornment. 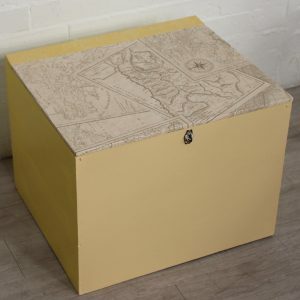 Rick working hard to get this vintage toy / storage box ready for Sunday. 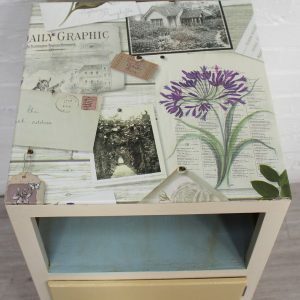 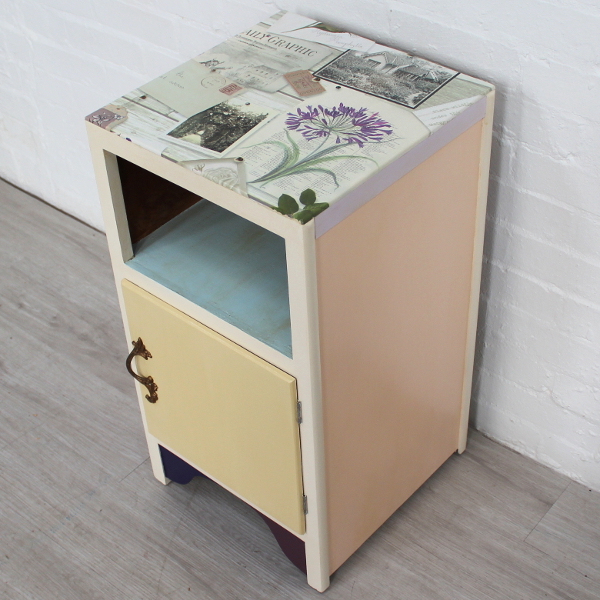 Beautiful decoupage & painted cabinet also by Rick & ready for sale. 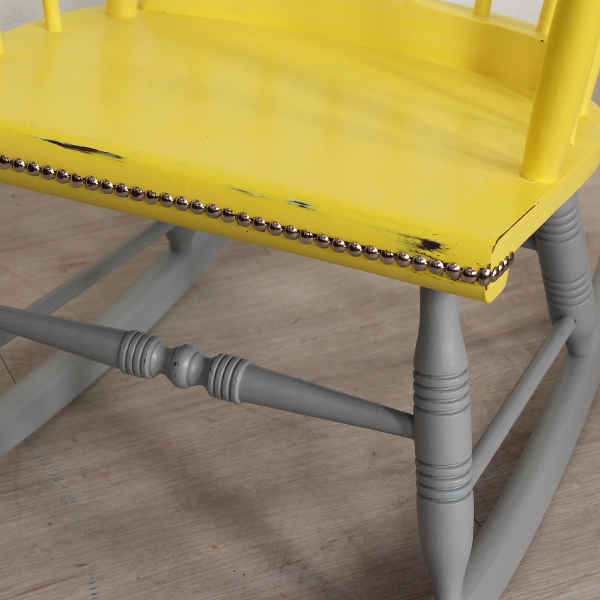 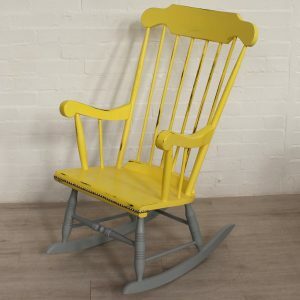 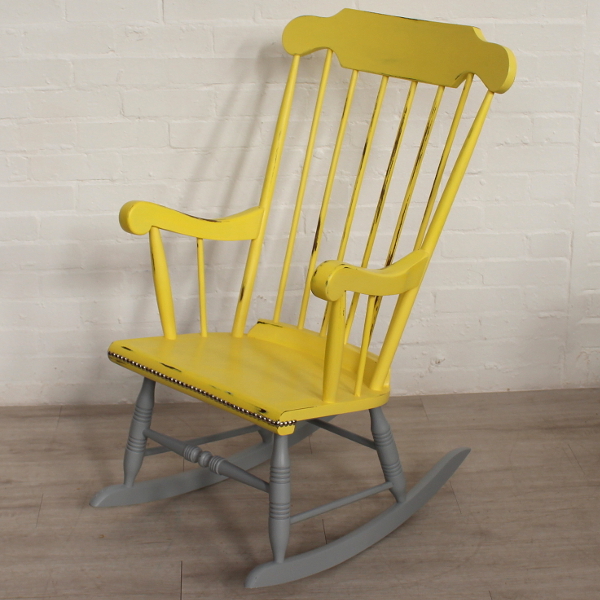 Nicola’s rocking chair – spot on with latest trending colours. 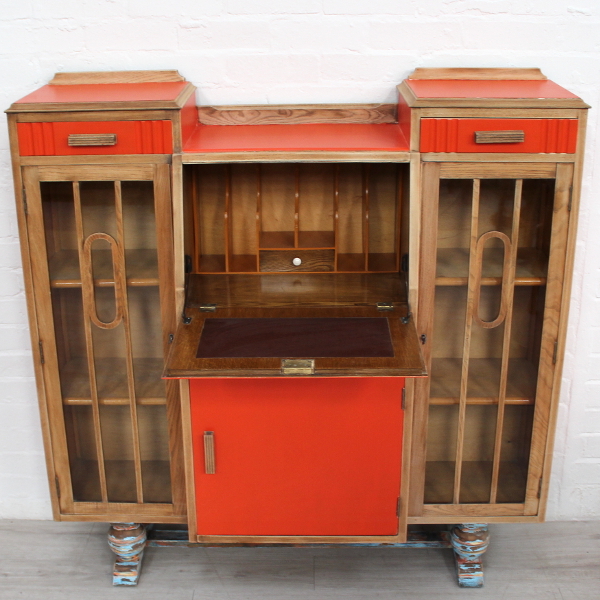 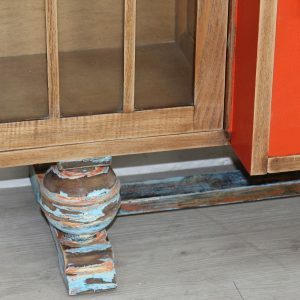 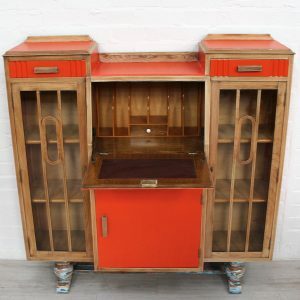 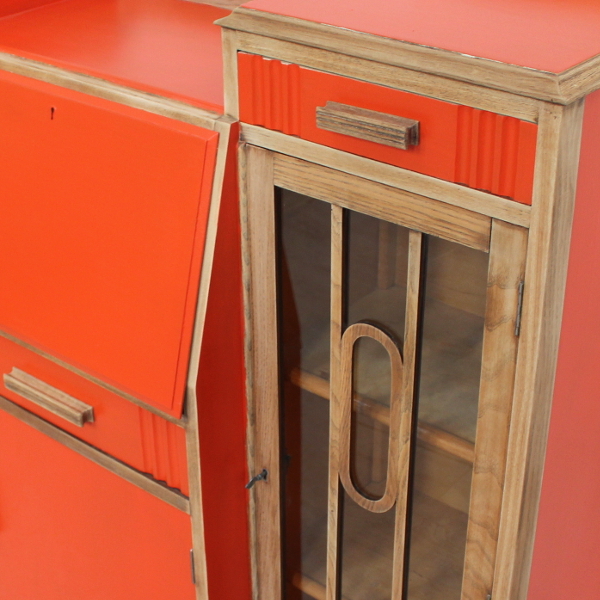 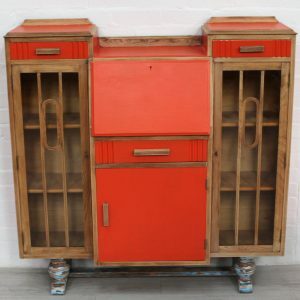 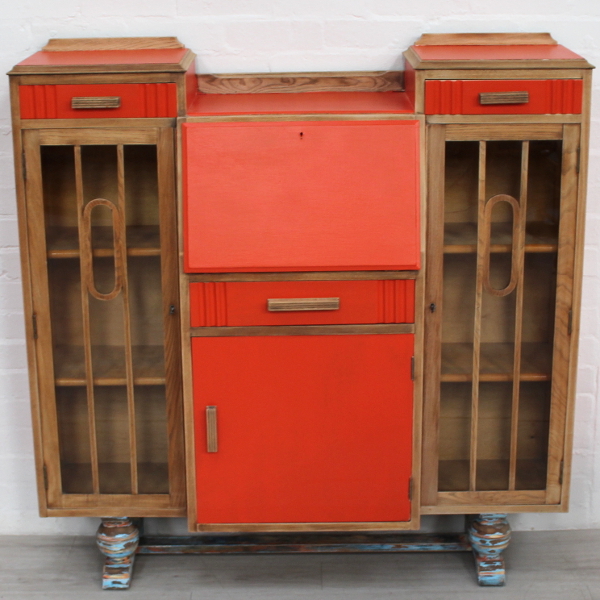 Wow Nicola this is amazing & you have certainly moved on from chairs with this stunning Deco Bureaux Cabinet in Vintage Murano orange paint, natural oak and a hint of our own ‘Bali Boat’ style plinth. 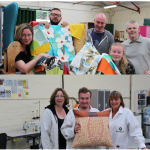 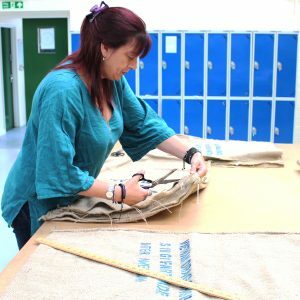 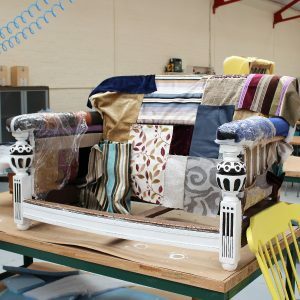 Alison well on the way with a splendid original art deco club sofa – pop in & see it progress (you may even put yourself down to buy it when complete). 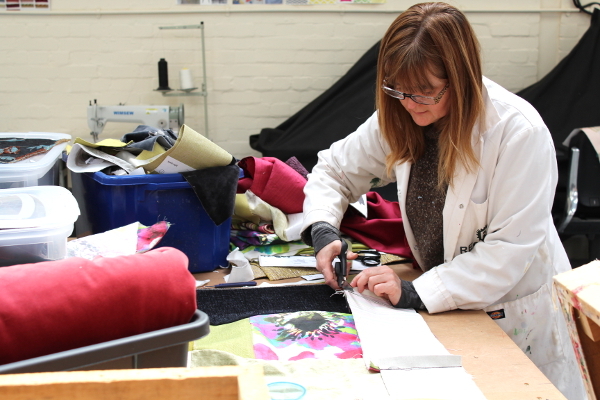 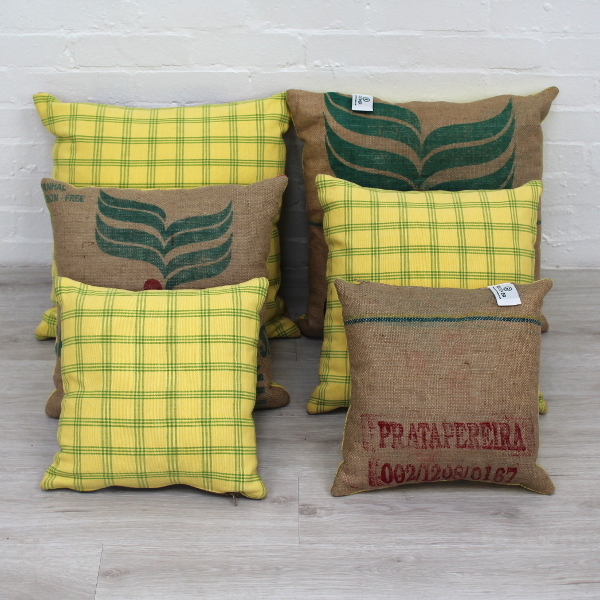 Chef Julie in action & as always we have a good selection of luxury cushions. 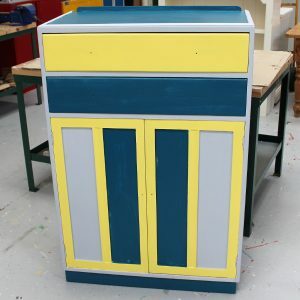 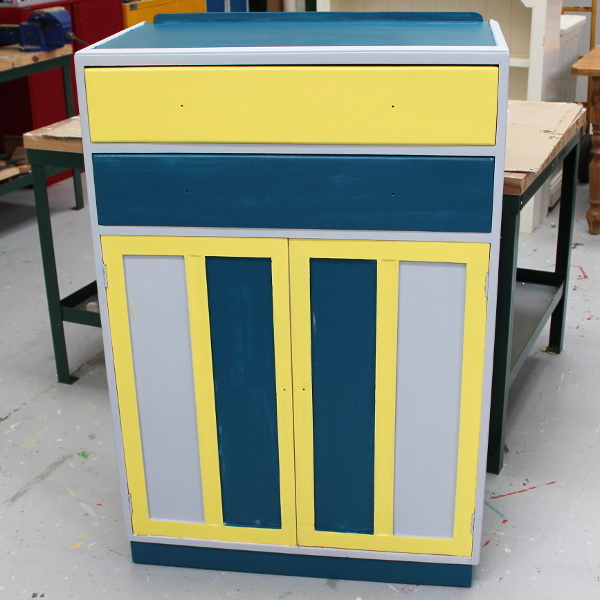 Vintage Linen cupboard also in the latest trending colours – well on the way for completion in time for this Sunday’s open day. 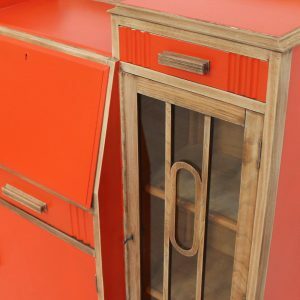 None of the above items have yet been listed on our website but they will all be priced at half what they will be listed for when we get a chance! Don’t forget we also open Mon – Fri & welcome visitors to enjoy a very relaxed browsing experience. 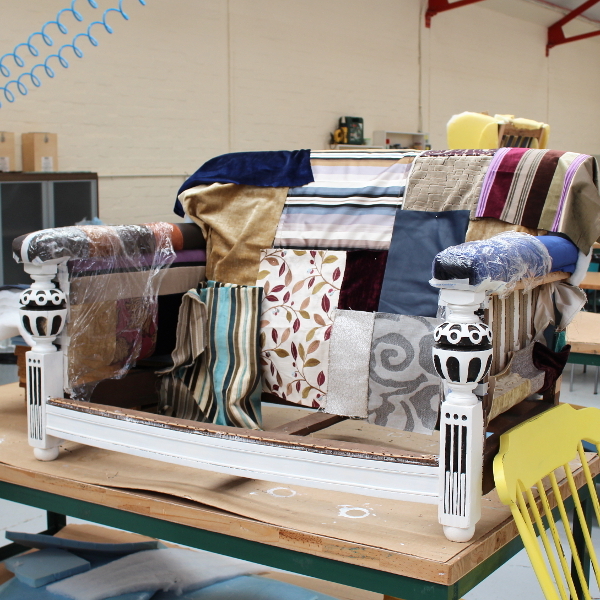 If you are making a special trip during the week we always advise to call ahead in case we are going to be off site.